Greg Ward Jr. has seemingly found his calling. The former University of Houston quarterback took his talents to the Alliance of American Football as a wide receiver and it has worked out for him so far. 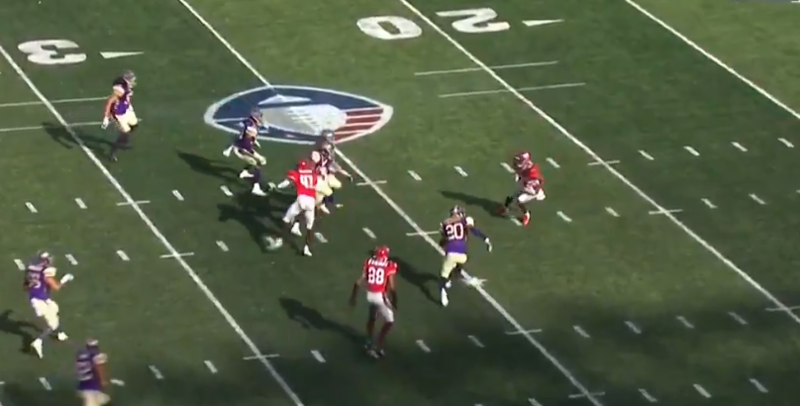 Already up 20-6 on the Atlanta Legends on the road, the San Antonio Commanders WR was back for the punt on Sunday, surveyed the field, and took it all the way back for a 75-yard touchdown.